collision, harming others and themselves, and causing extensive property damage. While many people do not plan to drive while intoxicated, poor judgment and reckless decisions can easily lead to a DUI arrest. If you’re facing DUI charges, you’ll need to get in touch with a DUI lawyer near Baltimore as soon as possible. Although the evidence against you may seem clear-cut, your DUI attorney can call the integrity of the evidence into question and negotiate with the prosecutor on your behalf. Individuals who are charged with DUI are asked to take one or more field sobriety tests, along with a chemical test. If you refuse to do so, you’ll face administrative penalties, regardless of whether you’re convicted of the charge. You’ll be taken to the police station and processed, which includes taking your photograph and fingerprints. You may be required to remain in jail until you become sober, even if someone pays your bail right away. 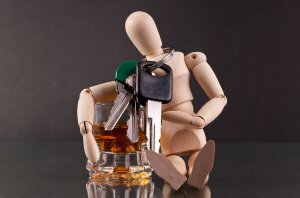 As soon as you can do so, arrange for legal representation with an attorney who has experience handling DUI cases. Your Baltimore DUI attorney can help you understand what to expect from the legal process and answer any questions you may have. He or she will ensure that your legal rights are safeguarded. Your attorney at law will also investigate your case, evaluate the evidence, and build a strong defense on your behalf. 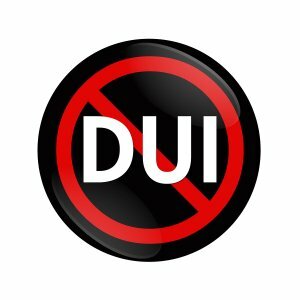 Another benefit of hiring a DUI attorney is that he or she will be with you in court to represent your interests. In Maryland, your driver’s license can be automatically revoked if you refuse a chemical test. Your license can also be taken away if you do take a chemical test and the results indicate a blood alcohol content (BAC) of 0.08 percent or higher. The criminal penalties you could be facing upon conviction vary depending on whether you have prior DUI convictions and the circumstances of the arrest, such as your BAC. You might be facing a jail term of 60 days to up to three years. Additionally, your license will be suspended or revoked for a period of time, you’ll be required to pay hefty fines, and you may be required to complete an alcohol abuse program. Auto insurance is supposed to protect drivers from unexpected losses in the event of a crash. Unfortunately, insurance representatives frequently offer settlements that are far less than what drivers deserve, since it’s in the best interests of the insurance company to increase profits. This is one major reason why it’s highly advisable to contact an accident attorney in Baltimore shortly after the collision. With a skilled personal injury attorney serving as your advocate and acting as negotiator, you can almost certainly obtain a much higher settlement offer from the insurance company. Another benefit of working with a personal injury attorney is a reduced chance of settling too early. Your total losses may not be apparent for a while after the crash. Your neck pain may become a chronic injury that requires therapy, for example, and you may need to miss more time than expected at work to recover. An attorney at law will ensure that you receive sufficient compensation to cover your losses. Additionally, in the event that a fair settlement is not forthcoming, your Baltimore personal injury attorney may litigate your case in court. One of the most common reasons why individuals visit an accident lawyer in Baltimore is to recover compensation for car crash injuries such as whiplash. Whiplash most commonly develops after a rear-end collision. This injury refers to damage of the soft tissues of the neck, which include the muscles, ligaments, and tendons. Whiplash symptoms may be mild or quite severe, and some car crash victims may require extensive rehabilitation. If you’ve been diagnosed with whiplash or other injuries after a collision, a car accident attorney can help you recover compensation for your losses. As soon as a car is rear ended, it is propelled forward abruptly. Within a matter of milliseconds, the acceleration of the car seat forces the torso of the driver forward, followed quickly by the lower neck. However, the head is rotated and is forced backward, which results in hyperextension of the neck tissues . Following this, the head is then abruptly forced forward, which hyperextends the neck. When the neck is hyperextended, the muscles, ligaments, and tendons are forced to stretch beyond their normal capacity, causing tiny tears in the tissues. Whiplash is unlike most car crash injuries in that the symptoms may not be immediately apparent to victims. Sometimes, a car crash victim will contact the insurance company to file a claim only to find later that he or she has suffered injuries and requires medical treatment. This is why it’s best to work with a car accident attorney in Baltimore right away and to keep your lawyer apprised of all symptoms. The typical symptoms of whiplash include neck pain and stiffness, loss of range of motion, headaches, and dizziness, which may lead to nausea and vomiting. Some whiplash patients suffer from blurry vision, cognition deficits, jaw pain, and numbness or tingling in the upper body. In addition to keeping track of all symptoms, car crash victims should keep track of all their financial losses, such as medical expenses, so that an attorney may demand compensation from the responsible party/parties. The consequences of being convicted of drunk driving can affect your life for years to come. However, if you’re working with an attorney at law at a DUI law firm near Baltimore, you’re much less likely to face severe penalties. Your DUI attorney may be able to negotiate a plea deal for you; in some cases, he or she may even have the charges dropped entirely. The specific consequences for drunk driving in Maryland vary, depending on the circumstances of your case and whether you have a prior history of drunk driving convictions. For example, for a first offense, you could be facing up to two months in jail for a DWI or up to a year behind bars for a DUI. 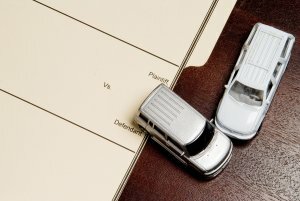 The court can also require you to pay hefty fines and you can expect your auto insurance rates to skyrocket. The judge can order your driver’s license to be suspended for varying amounts of time, depending on prior convictions. The state of Maryland takes drunk driving offenses very seriously and you should, too. By working with a DUI attorney, you have a better chance of a favorable outcome for your case.